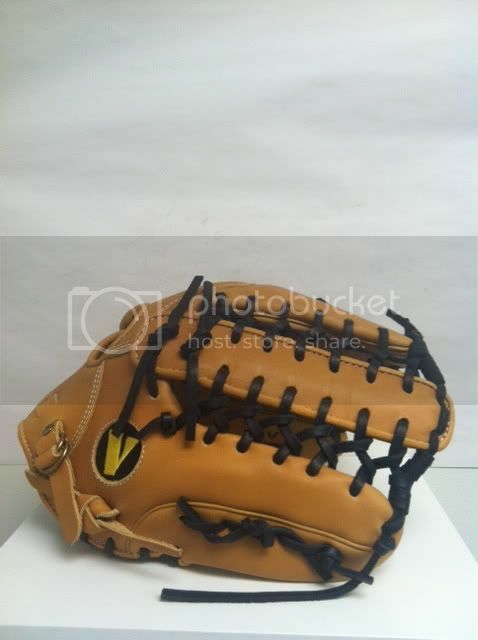 WWW.GLOVE-WORKS.COM BASEBALL GLOVE COLLECTOR FORUM • View topic - VINCI now offers Tan in their Custom Glove program! 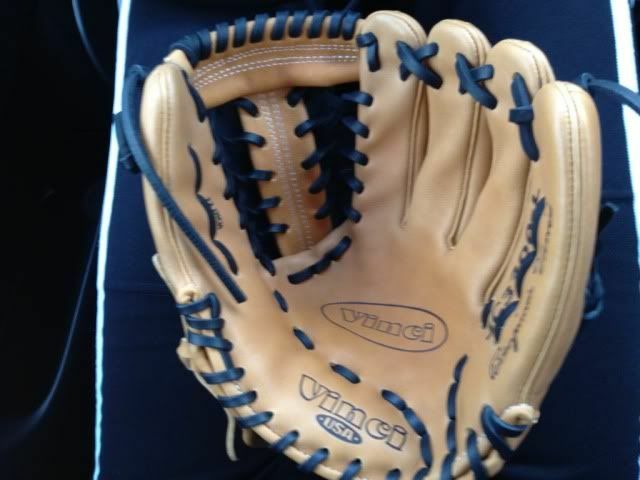 VINCI now offers Tan in their Custom Glove program! 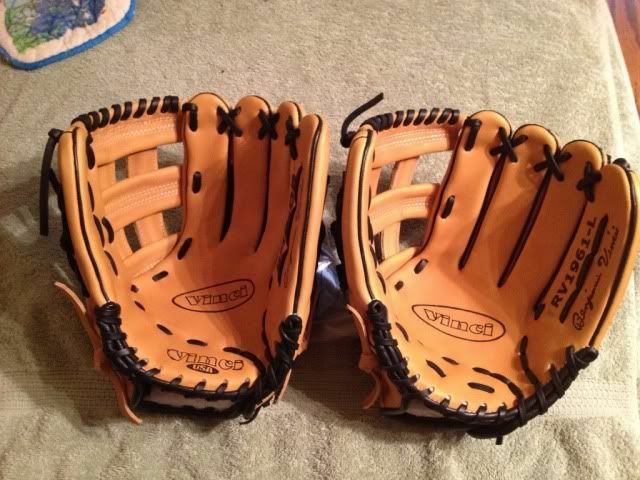 Post subject: VINCI now offers Tan in their Custom Glove program! 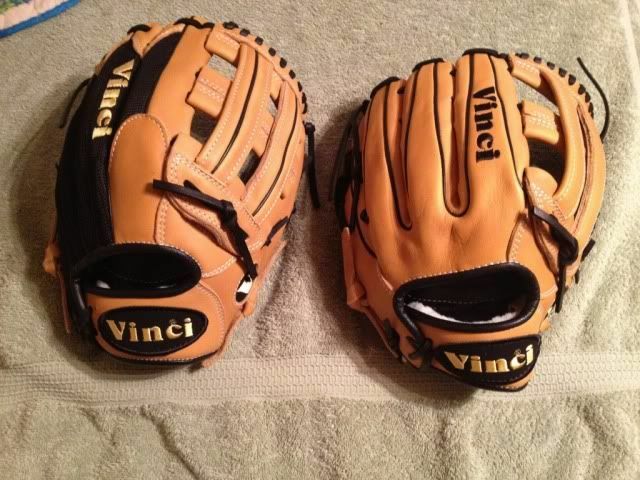 Tan is now available as an option in VINCI's Custom gloves. 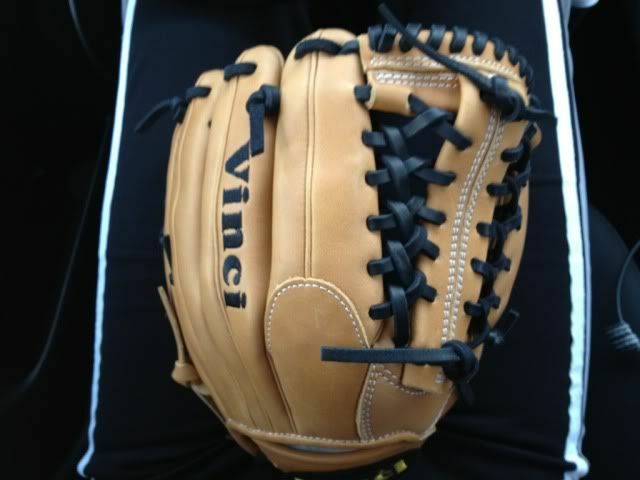 Post subject: Re: VINCI now offers Tan in their Custom Glove program! It's about time! Looks very nice, Mark. Ever think about offering traditional welting? Thanks! I agree with it's about time! However, it's tough to justify costs at some point when dealers are saying no to tan and yes to black. I want tan just as much as anyone around. Ordered a couple and will be ordering more once I see what the tan looks like and what I can match it with. The welting has really never been a big discussion topic. I have had very, very few bring it up and it's usually parents showing me their childhood glove and asking the difference. I personally am split on the subject. I know our CP Series had the split and our Limited's and 22 series have the rolled. Drop me a PM on your thoughts on the welting. A lot of dealers want black everything. The dealers that are interested in the tan, still want black lace. Only reason why I stayed with black lace on my custom is because I am going black mesh/welting/binding as well. Once I get the couple that are ordered, I probably will go with an all tan. I like how they look. Now, with the welting. It's crazy that other manufacturer's say that rolled welting is stronger and helps retain shape better than traditional. But then you get the high end gloves that go with traditional. Doesn't make sense, but I do know the general public isn't going to look deeper than what it says on the tag. Wilson advertises their A2K rolled welting to "allow for a quicker break in." Really? I thought this feature was marketed as one of the reasons why their gloves maintain their shape so well. I thought it was the Dual Welting that helped keep the shape. What is the weight/type on the tan leather? Is it 5 oz kip? It is indeed 5oz kip. I won't be using this one and it may be for sale. 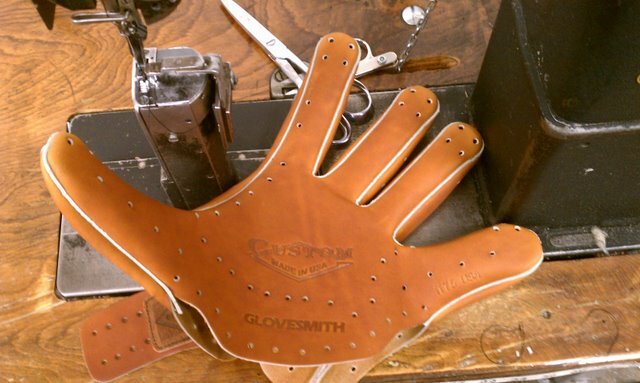 I'd like to see tan lace on a tan glove myself. They just won't let go of black will they?! Traditional welting holds shape significantly better than rolled. Just about all high-end Japanese gloves have it. Professional baseball players appear to prefer it as well from what I've seen. Who is this "they" you speak of? It's a "custom". It was ordered with black laces. If you want tan laces, you can order it that way. Here are 2 that I ordered.